Plex makes streaming media from your PC or server to another device staggeringly easy. It's also a killer deal with on-the-fly transcoding, Chromecast, automatic library organization, and a ton of other features for just a few bucks per month. It was such a good deal that Plex decided the cost of a premium Plex Pass subscription should go up a little. The upside being current subscribers can lock in their rate. 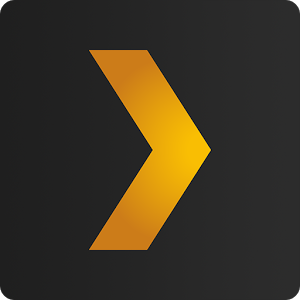 The Plex service is free to use after you've purchased the $4.99 Android app. With that you can stream video over your network to phones, tablets, computers, and the Chromecast. Plex Pass is the premium version of Plex that comes with a free Android app, plus additional features like camera uploads, cloud sync, and local device sync. New features will also be rolled out to Plex Pass subscribers first, as was the case with Chromecast support a while back. The new tiers go into effect on September 29th. At that time the monthly rate will jump from $3.99 to $4.99. A year of Plex Pass is going from $29.99 to $39.99. Plex considered getting rid of the $74.99 lifetime subscription completely as it ate into revenue quite a bit, but instead the price has been set to a sustainable level of $149.99. You'd have to be a pretty diehard Plex user to drop $150 on a subscription, but it's there if you want it. Remember, you can still lock-in the old rate until the 29th. If you've been on the fence, now might be the time to sign up.